The Journal of Interdisciplinary Economics invites submissions for a Special Issue forthcoming in July 2018, on Migration: Change and Continuity, with reference to internal migration in South Asia or cross-border migration within South Asia. 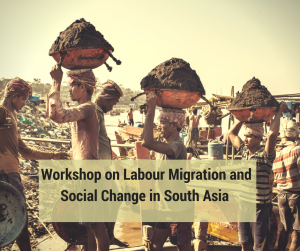 This workshop offers a platform for young researchers, scholars and practitioners to share thoughts and receive feedback on current research about labour migration and the social changes it induces in sending and receiving communities. We invite papers from PhD scholars as well as young researchers and practitioners engaged with issues of migration and social change. I have recently joined the Agrasar team. To directly orient myself to the various initiatives driven by Agrasar, I decided to interact with a few students to understand about the education program, ‘Agrasar Bachpan’. While interacting, it was my conversation with Pooja that helped me get better insight into the inspiration behind Agrasar Bachpan.